It is no secret that our family LOVES Disney! We have always chosen to stay off-property in order to save money and maximize space so we can all have great sleep to be in the best moods for the parks. 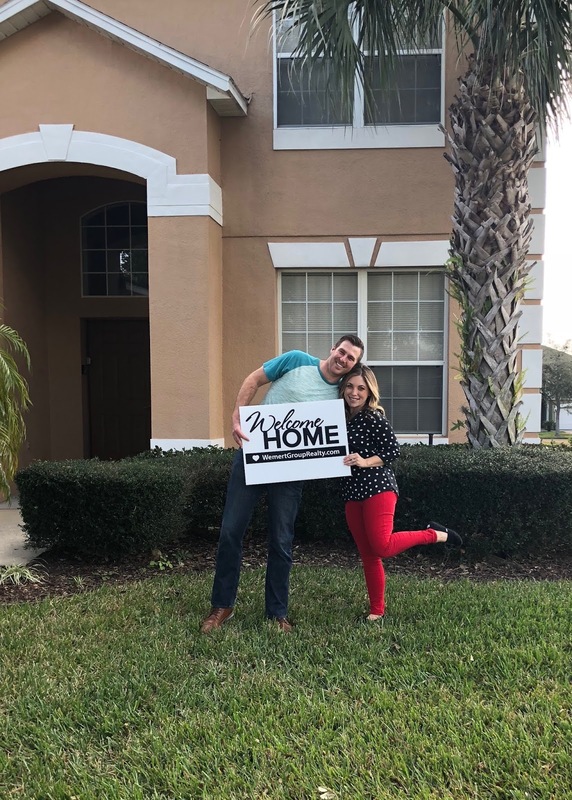 With our Disney knowledge and experiences over the years of renting at many different locations around the Disney area, we decided to purchase an investment home! You can see the site our property manager put together featuring our home here! 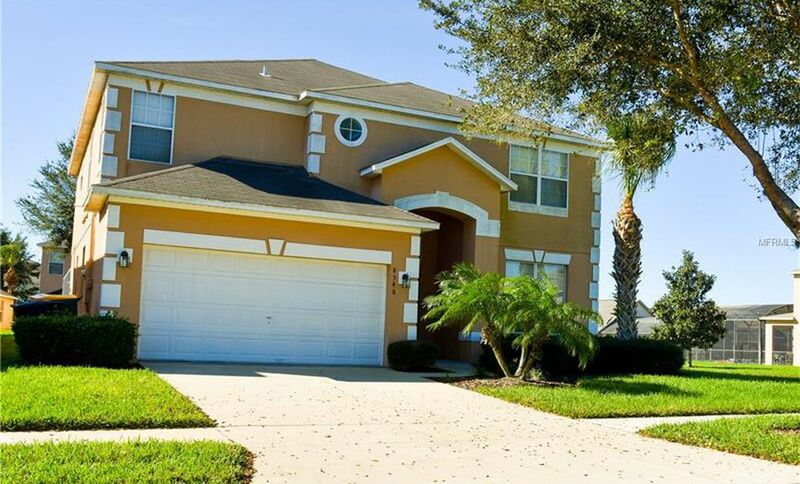 Our home is Hidden Mickey Hideaway and is located 3 miles from the Walt Disney World theme parks and is in the gated (with security) community of Emerald Island. 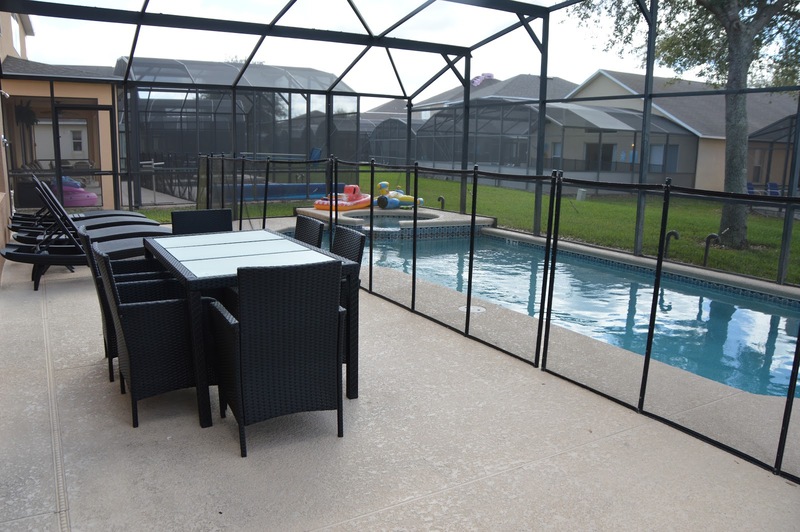 We were VERY picky when it came to location for our rental home and chose Emerald Island because it is very safe (gated with guard), has many great amenities (community pool, basketball court, volleyball court, tennis court, etc), is beautifully landscaped and well-maintained and it’s SUPER close to Disney as well as tons of other great restaurants and shopping locations (a brand new super nice Walmart and a Super Target less than 5 minutes away!). 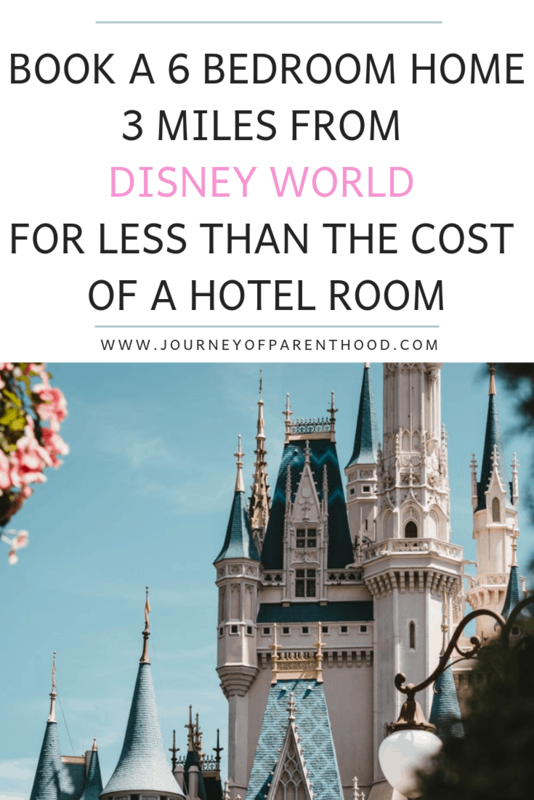 It takes us less than 10 minutes to get from our rental home to Disney which allows us to come back for naps, to have meals at the house to save money, and enjoy the pool and spa when we need a break from the busy park days. 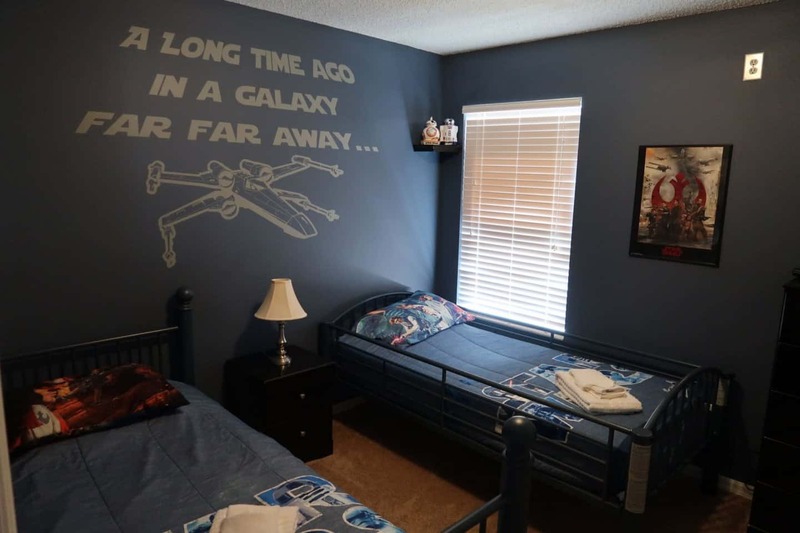 6 bedrooms: King master on main floor, 2nd king master on 2nd floor, 2 rooms with twin beds in each (Moana and Star Wars themed), 2 rooms with Queen beds. 4.5 bathrooms: Half-bath downstairs off living room, 2nd bath downstairs in master. 3rd bathroom upstairs in 2nd master bedroom, two additional full bathrooms upstairs. 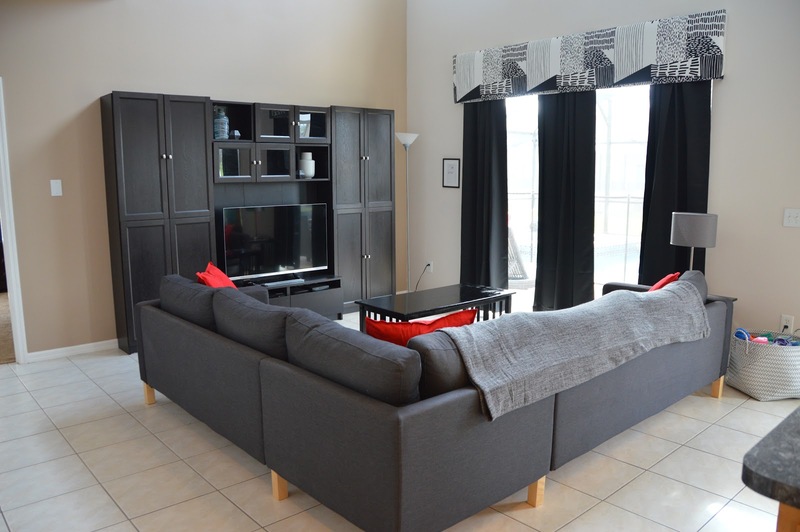 Two living areas and an additional upstairs den with couches and tv. We are adding in a sectional couch with fold out bed for the upstairs den! Washer and dryer to allow for doing laundry on your stay! Garage has been converted into a game room featuring a pool table, air hockey, ping pong, and basketball goals. Entertainment center in the living room is stocked with a huge collection of books, dvds, and even family board games to use during your stay. The home is on a corner lot with a HUGE yard and a short walk away from a great outdoor playground. Including the fold out couch, there are enough beds to sleep 14. 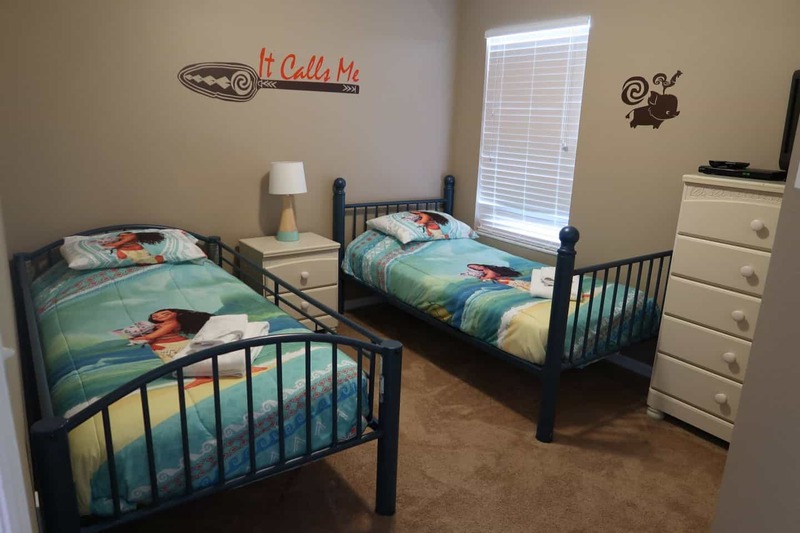 There are two pack and plays provided (and both master bedrooms have HUGE closets perfect for a baby to sleep). We also provide two twin size air mattresses. We don’t have a max number of allowed guests so if you have a larger family and want to do air mattresses etc to make it work we are very understanding and flexible (Zach’s family is big so we get it!). Completely updated living room, sliding doors to pool deck area. View into kitchen, fully stocked with everything you’ll need! 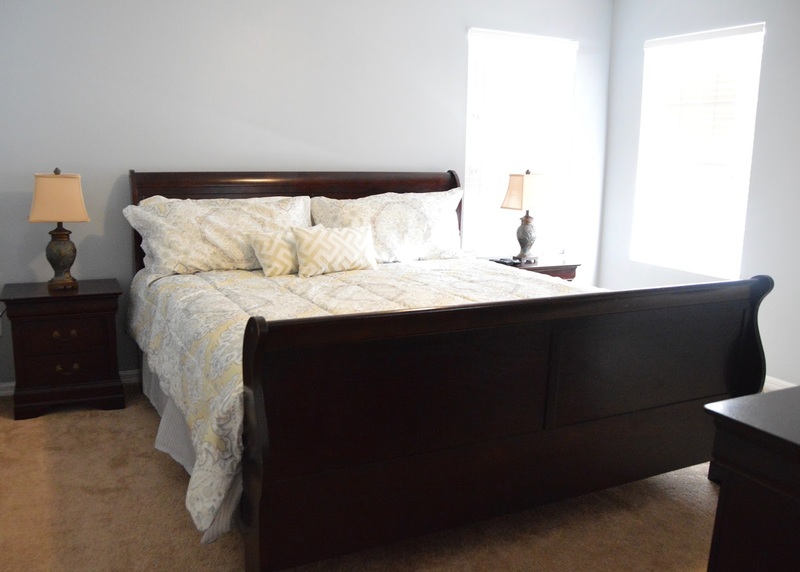 You can see additional photos including the bathrooms and the two queen size bedrooms on the home website. We’ve done a TON of updating in the home. Painted all of the bedrooms, added new bedding and theming throughout. 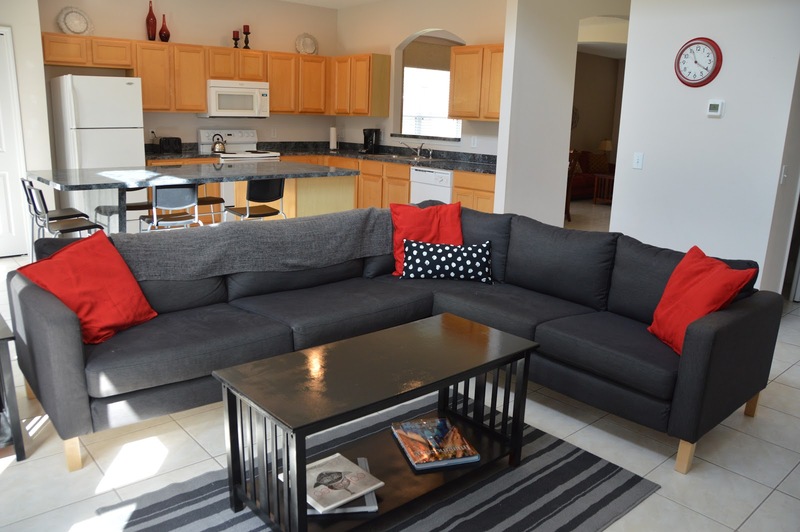 We also updated the living room couch and entertainment center and have provided brand new towels. We will constantly be doing updates and upgrades (the benefit of renting a home from a family who will be there often!) and the website will be featuring updated photos as we make those changes. 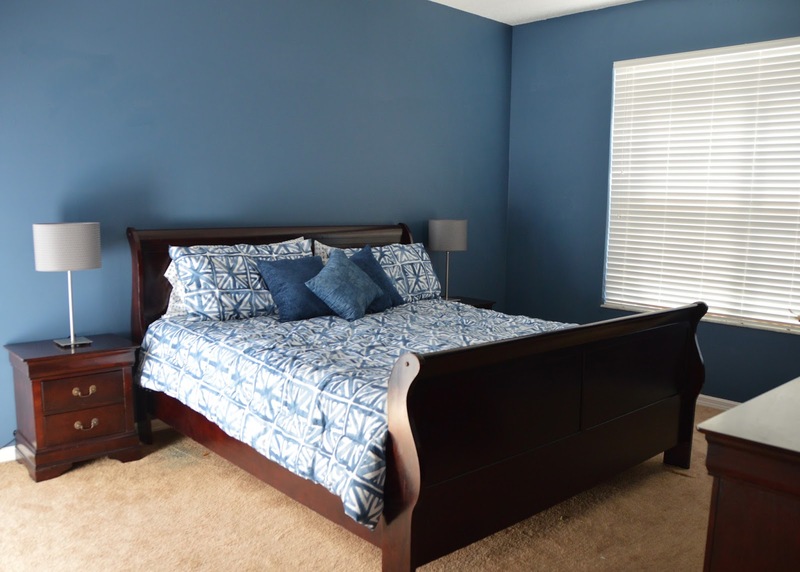 To see the before and after photos check out this post! We are excited to be working with an incredible property management team who have been doing this for over 25 years. They are always available to help guests with any of their needs during their stay. They are fully managing the website and all bookings from that end. But it was important to us to work with a reliable, respectable property manager who would also allow us to do our own bookings. Our family loves Disney and truly believes it’s a happy place that everyone should get to experience. It is important to us to be able to offer our home for rental at the lowest price possible to our friends, family, and to blog readers! 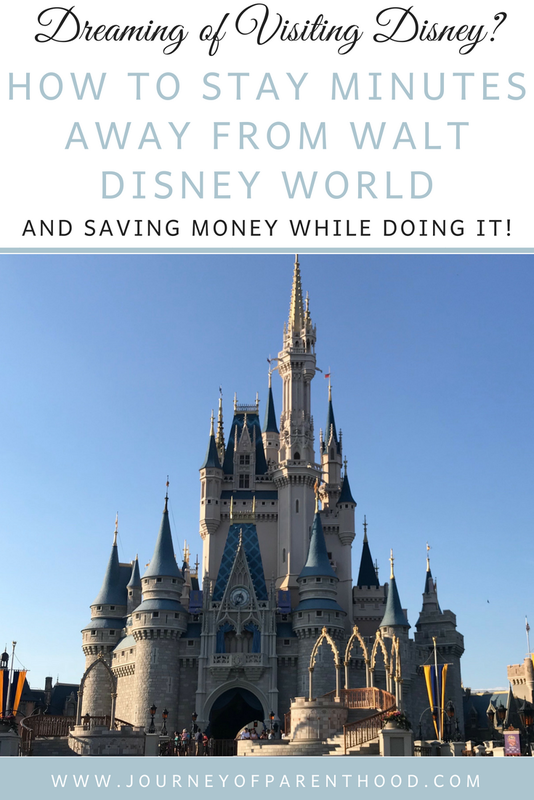 We want this to be a place others can enjoy and to help families afford the Disney experience (Disney ain’t cheap and every little bit of savings helps!). You can book directly through the website here! Review the website calendar here. It’s always up to date with availability. When you choose your dates note the price per night. Prices are set based on peak seasons, low times, holidays and other factors. Rates can change at any time and are decided by the property manager. The property manager may also require a certain night minimum stay during certain times of the year. The first portion of the discount is off of the per night rate. Whatever rate you see listed on the website per night deduct off 15% for the friends/family/blog reader discount. Next add in your cleaning fee. It’s a set $160 for cleaning regardless of the number of nights you stay. We also require a $200 fully refundable damage deposit. This will be refunded upon inspection after check out. Booking directly through us we require 50% of the total upfront and then the additional amount is due at 30 days prior to check-in. If you would like the pool and spa heated for your stay please also let me know in the email. It’s $15 per day for the heat and is highly recommended for October – March. Part of our friends/family/blog reader discount is booking directly through us which means not only the 15% off per night but also avoiding both the booking fee and service fee required when booking on the website (totaling typically over $200!). Be sure to include your travel dates and I will go through how to submit payment and will send all check-in instructions to you as well! We are so excited to make many memories together as a family in this home. When purchasing we tried to think long term and hope it’s a place we’ll be able to take our kids and even their children! We are excited to be able to share this home with others and can’t wait for other families to use it for their memory making too!